After a long day, many of us reach for a nightcap to help us fall asleep. There’s no doubt that alcohol triggers sleepiness, but did you know that after drinking, you don’t actually sleep well? The result is that you wake up the next day feeling more tired than before. After consuming alcohol, the body’s level of epinephrine, a stress hormone, increases, which in turn increases heart rate. It’s believed that alcohol consumption is the cause of 10 percent of insomnia cases. 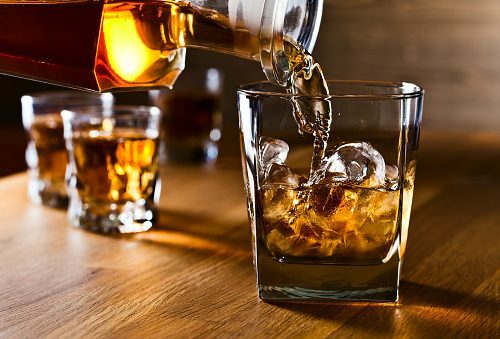 Alcohol also relaxes throat muscles, which can worsen sleep-related breathing problems and increase the risk of sleep apnea—a disruptive sleep disorder. Additionally, consuming alcohol before bed can increase your need to urinate throughout the night, further disrupting your sleep. Aside from ruining your sleep, day drinking has its consequences on your energy levels too. If you woke up tired due to evening drinking, continuing to drink during the day can further intensify your tiredness and fatigue. Instead of drinking alcohol, which can deplete your energy levels, it’s advised that you consume water, which can promote energy. One of the first signs of mild dehydration is fatigue and weakness. The slightest drop of hydration in the body is enough to leave you feeling nearly exhausted. This is because over 50 percent of your body is made up of water and we are constantly losing fluids through urination, sweating, and breathing. When we lose water, we need to replenish it, which can easily be done by drinking water or even consuming water-rich foods like fruits and vegetables. By adding more water and water-based foods into your diet, you can feel more energized as opposed to tired and drained, the feelings alcohol leaves you with. Lastly, if you are drinking alcohol, remember to alternate between alcohol and water as it will keep you hydrated and reduce the harmful effects of alcohol.